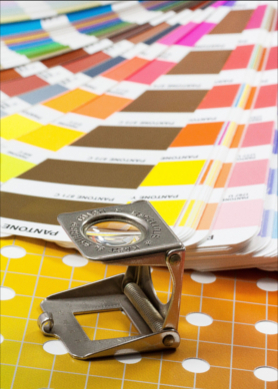 Your one-stop design, print and marketing team with a difference. We can become your entire ‘marketing department’ for any length of time; fit in with your existing staff to provide extra support, or assist you with various short term projects. We are flexible, adaptable, creative, organised, efficient and very focused on results. Our services offer you the chance to set yourself apart, with dedicated experts right at your side to collaborate and execute the best results, which complement and strengthen your brand. It doesn’t matter what budget, allotted time or brief you have, we see it as our role to knowledgeably mentor you towards a solution that will satisfy you and your clients. With an instinctive knowledge of best practices and the experience to support you on your journey with us, our experts are ready and waiting to hear from you. We have no doubt that we can rise to the challenge of whatever it is you are wanting to achieve in your business. Whether that is producing more sales with print that not only promotes but sells your services; optimising your website to increase traffic and convert your prospects into leads, or even building your entire marketing portfolio, that will impress your customers beyond belief. We employ only the best creative talent in the industry, so you have all the tools you need right here to succeed with TWW Services. Now is the time to take your marketing to the next level; (and join the many other satisfied customers who use our services… and continue to use our services, over and over again).